Russia should retain and utilize its position in the Arctic not only for economic but also for security reasons and to preserve its national identity and integrity, the Russian President has announced. 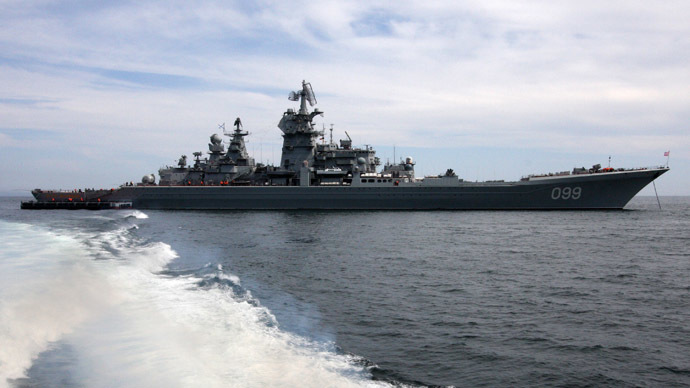 In particular, the Russian leader cited an example of the Northern fleet that patrols adjacent waters. 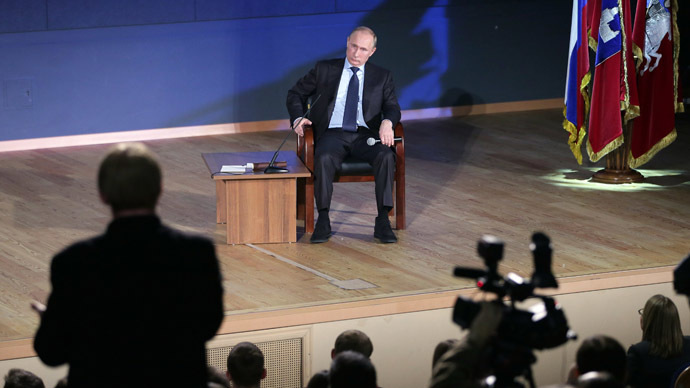 “But still the [American] boats are there, and rockets are mounted,” Putin reminded the audience. Putin was apparently referring to an episode in October this year when the leader of the Russian Communists, Gennadiy Zyuganov, told a party plenum that calls for a breakup of the Russian Federation are inspired by the ‘Imperial West’ and should be punished by a jail term. According to Zyuganov, Russia is facing a new wave of colonization and the attempts to cause strife between Russia’s numerous peoples and ethnic groups were a part of that major plan. To deal with separatist calls and preserve national identity, Putin said more patriotism was needed. Without cultivation of the patriotic sentiment, the country will “fall apart from inside like a lump of sugar that has been dipped in water,” Putin warned. 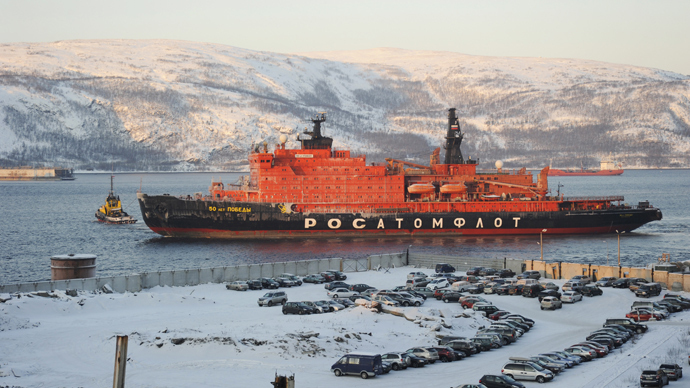 Russia, which has been exploring the Arctic for centuries, is still the only nation in the world operating a fleet of nuclear icebreakers, making it easier to navigate icy waters. In an effort to master the Arctic, Russia has started building the world’s largest universal nuclear-powered icebreaker capable of navigating in the Arctic and in the shallow waters of Siberian rivers. 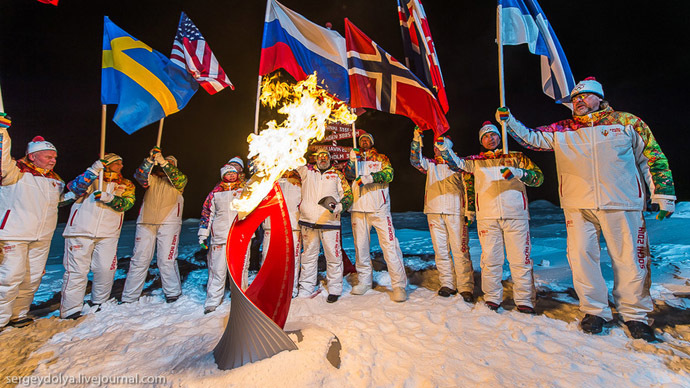 Once finished the vessel will be 14 meters longer and 4 meters wider than the current record holder, the 159-meter-long “50 Years of Victory” which has recently brought the 2014 Olympic torch relay to the North Pole in its first-ever trip to the top of the world. Russia has conducted research in the Arctic for most of the 20th century as the only country that uses drift stations for seasonal research. The research mainly focuses on studying the seabed, marine life, meteorology, exploration, and natural resources. Lately the focus has shifted to exploring the Lomonosov Ridge to collect evidence that could strengthen Russian territorial claims. 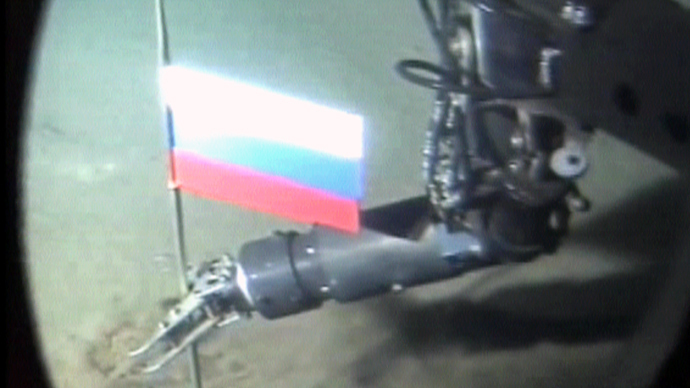 In 2007, a Russian expedition planted the national flag on the Arctic seabed under the North Pole. 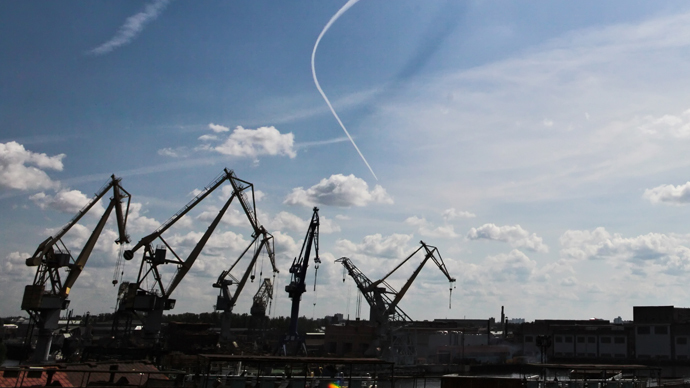 Moscow’s economic interests in the area are mainly divided between natural resources and maritime transport via the Northern Sea Route. The route which is now open for navigation around eight weeks a year is predicted with the effects of the climate change to see traffic increase tenfold by 2020. 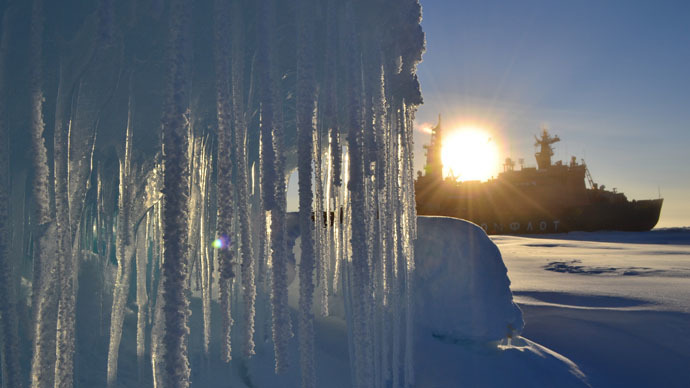 Moscow is also seeking to increase foreign investment in its Arctic projects. For instance in 2011 Rosneft signed a deal with ExxonMobil for the joint development of Russian Arctic resources by both companies. Russia is also planning to deploy floating nuclear power stations in the Arctic to be used by Gazprom for offshore oil and gas exploitation. About 90 billion barrels of oil and 1,670 trillion cubic feet of natural gas lie in the Arctic, according to the US Geological Survey, making up about 10% of the world's petroleum resources. The dominant portion of these resources are hidden beneath the ice that is shared between five nations bordering the Arctic, Canada, Denmark, Norway, the Russian Federation and the United States. 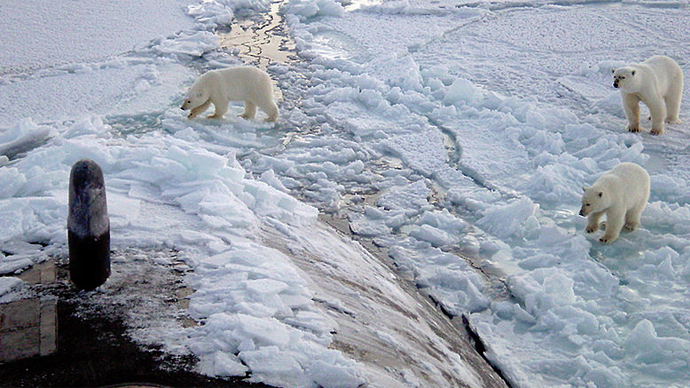 The US has recently stated that because of huge economic potential it too wants to get “very involved” in the Arctic. The director of the US Navy’s Task Force for Climate Change, Rear Adm. Jonathan White, said the US needs to step up its planning efforts if it wants to operate ships and aircraft in the region by 2025. “What do I have to start thinking about now – about research, planning, making long-term investments for things like hull strengthening or bridge insulation, even how we conduct routine operations like ship and aircraft refueling?” White speculated in November. On Tuesday, the Deputy Assistant Secretary for Oceans and Fisheries in the US Department of State’s Bureau of Oceans, Environment and Science, David Balton, said that mutual roadmap in Arctic cooperation between US and Russia should involve scientific cooperation, regulations of fisheries, and environmental issues. “We need to develop scientific research so that scientists have a broader view of what is happening in the region,” Balton said at an international conference "The Arctic: Region of Cooperation and Development" in Russia. The US official also stressed the need to regulate maritime routes of the Arctic, saying that traffic will “significantly” grow in the future and will pose a danger to the environment. 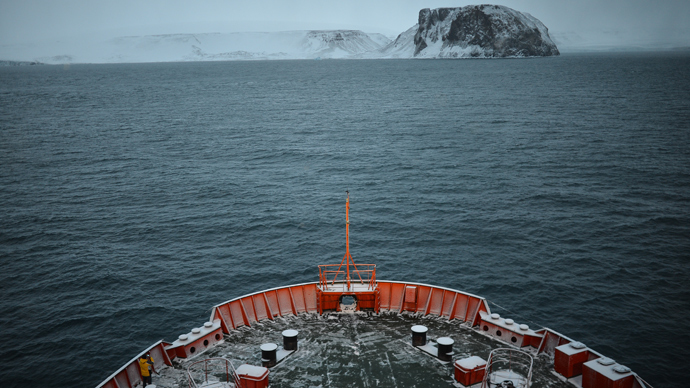 Other issues that needs addressing are the demarcation of the Arctic continental shelf and the need to strengthen the Arctic Council, which includes the eight Arctic states: Russia, USA, Canada, Denmark, Finland, Sweden, Iceland and Norway.